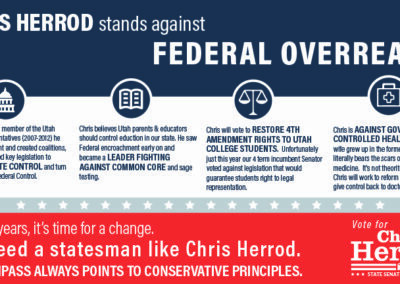 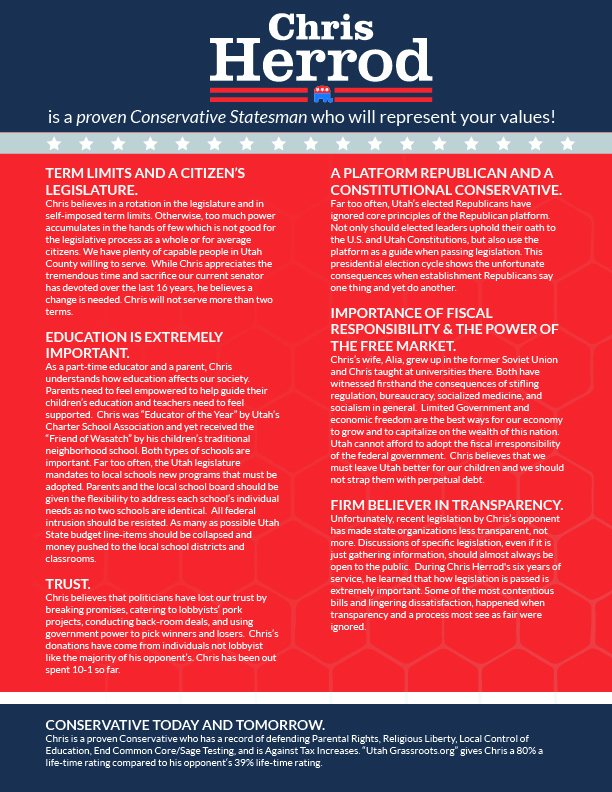 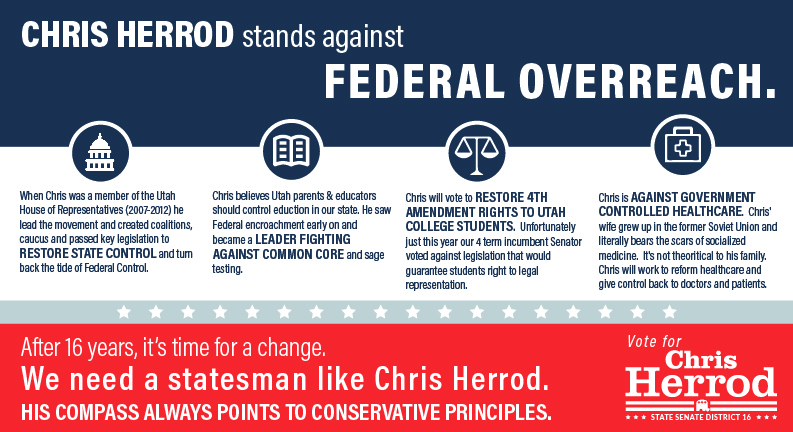 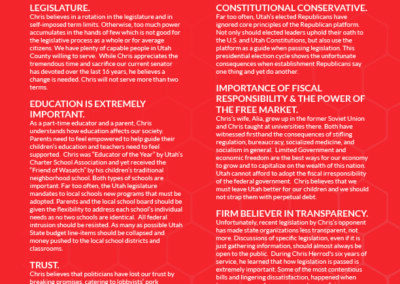 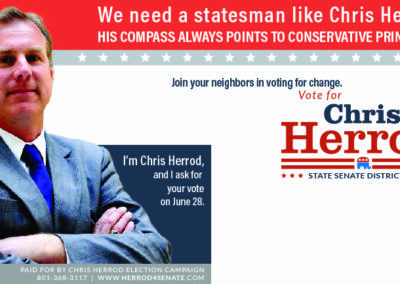 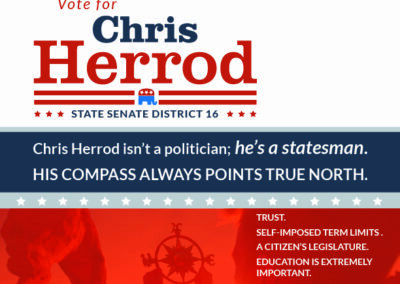 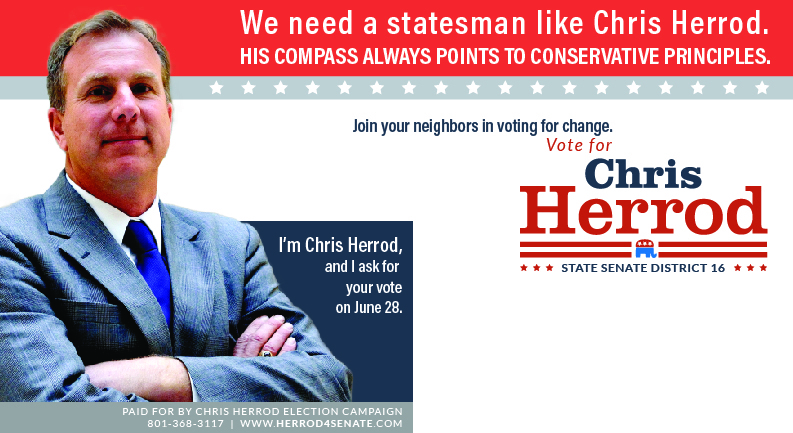 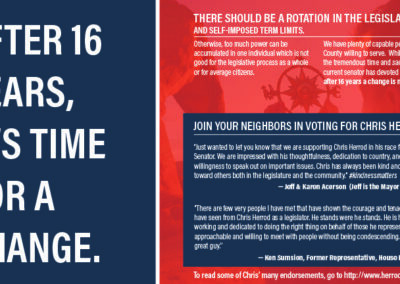 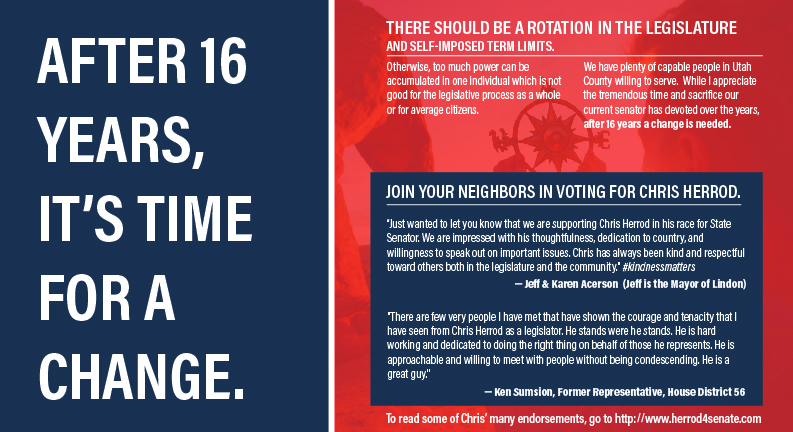 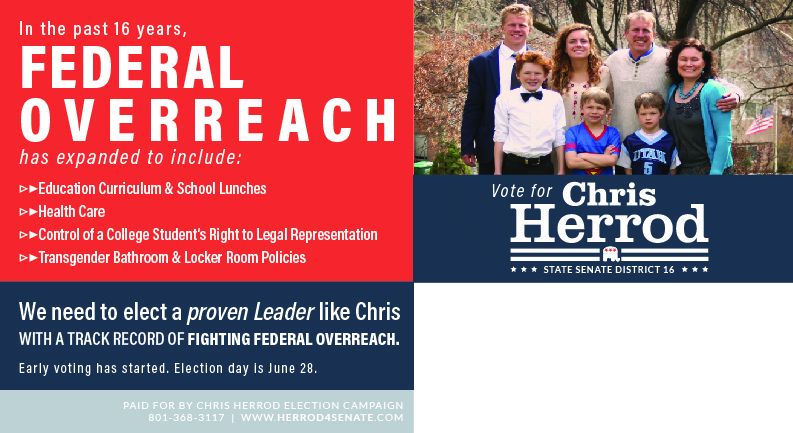 Scope: I created several pieces as part of the political campaign design for Chris Herrod. 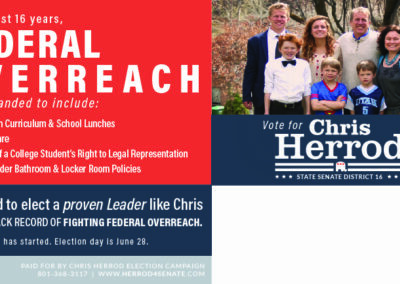 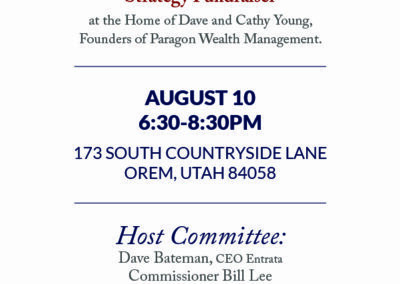 We started with a mailer, then moved on to create a second mailer and a flier. 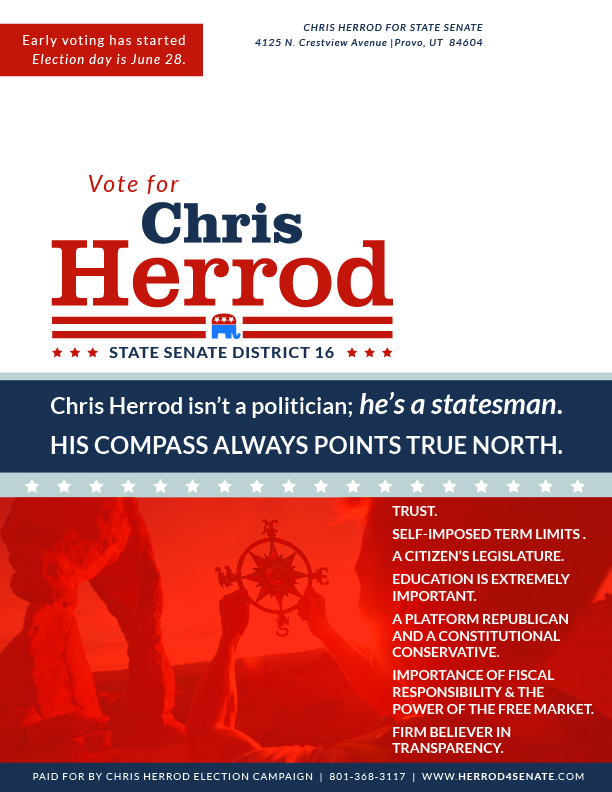 We tried to maintain a modern feel, while appealing to traditional political design as well.